Statewide campaign urges proper safety restraints for children. JEFFERSON CITY – Do you know if your child is in the right safety seat? While they may be old enough, they still may not weigh enough, or be tall enough to buckle up and skip the booster or car seat. National Child Passenger Safety Week is Sept. 23-29. The Missouri Coalition for Roadway Safety wants to ensure all caregivers of young children know the importance of buckling children in an appropriate child restraint. Motorists can also expect increased enforcement of Missouri’s child seat safety laws during this campaign. In 2017, 12 children less than eight years of age were killed and 43 suffered injuries as occupants in motor vehicle crashes in Missouri. Thirty-one percent of the children killed were not restrained in a car seat or safety belt. · They are at least 80 pounds. · They are at least 4’9” tall. While Missouri law only requires one of them, safety encourages all of them. “All parents and caregivers need to understand the importance of booster seats. It’s not just about following the law – booster seats help prevent serious injury and may even save your child’s life,” said Jon Nelson, chair of the executive committee for the coalition. 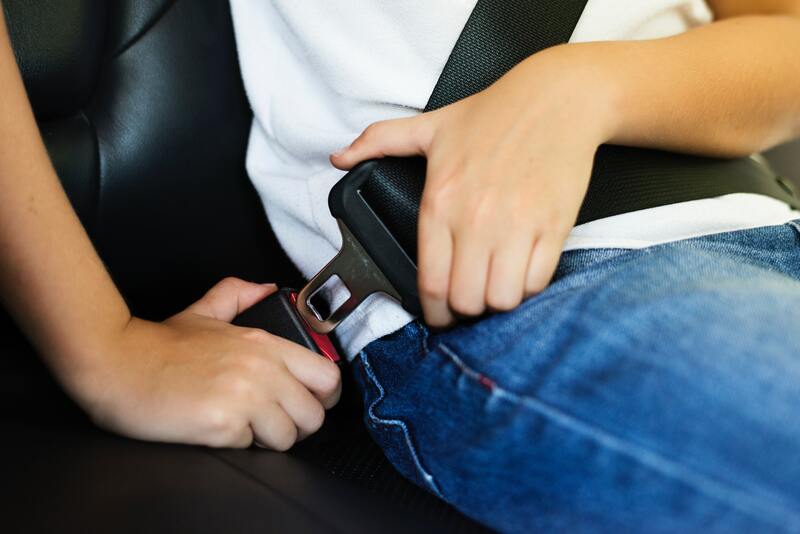 Serious injuries can result from improperly fitted safety belts, particularly for children ages four through seven who are secured only in a regular safety belt during a crash. These injuries are commonly known as “seat belt syndrome,” which are often life-threatening or disabling injuries. Booster seats help prevent this syndrome from occurring by raising the child up so the lap and shoulder belt fits them properly. Child safety seat technicians will provide education and car seat inspections at locations across the state during this campaign, and throughout the year. A list of car seat inspection stations and locations across the state can be found at seatcheck.org. Appointments may be necessary. For more information on Child Passenger Safety Week, visit saveMOlives.com. You can also follow on social media at Save MO Lives.